Happy holiday seasons and thank you for your support for this year. Wishing you a very merry Christmas and prosperous New Year. As the year draws to a close, we thought it’d be nice to roll out the refreshed top/front page on our official website! Whilst the rest of the homepage has yet to receive the same treatment, we’ll be rolling out updates throughout 2017 as part of our plans to make navigation of the website much easier. We’ll also be incorporating more media/content in 2017, so stay tuned and be sure to follow us on our social media accounts linked at the the top of the homepage! In the meantime, check out the newly added video section to see some of the latest uploads from our partners and customers. 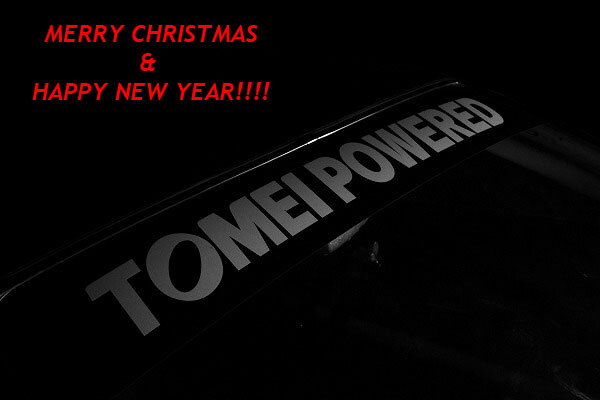 Here at TOMEI POWERED, we would like to wish everyone, a Happy New Year!! 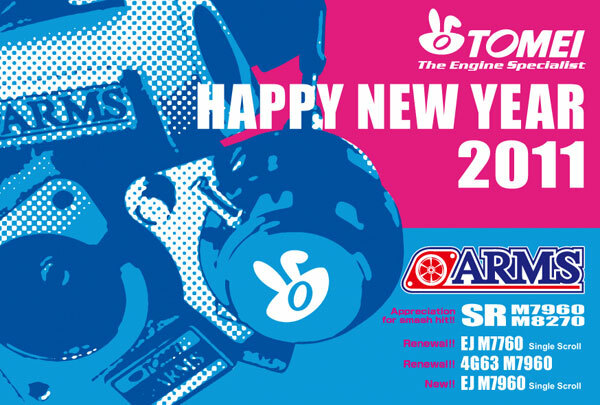 The following dates are the dates of when both branches of Tomei Powered will be closed. Last trading day 29th December – opening on Wednesday 5th of January. Last trading day 30th December – opening on Wednesday 4th of January. All other days trading are as usual. 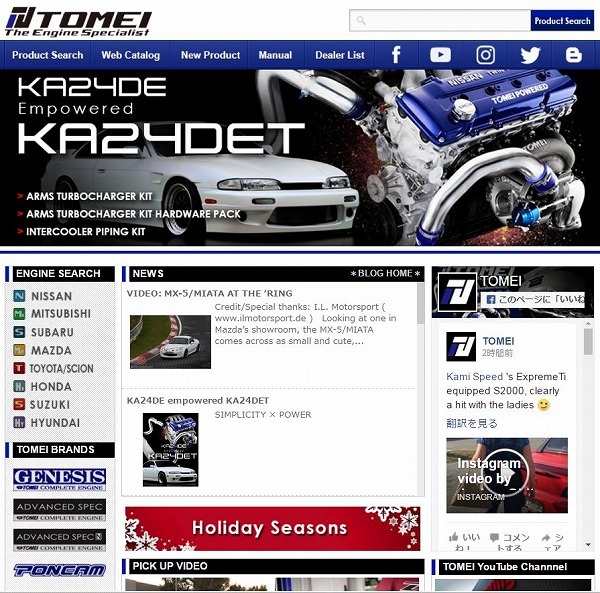 We here at Tomei Powered Inc & Tomei Powered USA, would like to wish everyone a Merry Christmas & Happy New year!. Thank you to everyone for your support during 2010. We look forward to enjoying 2011 with you all. 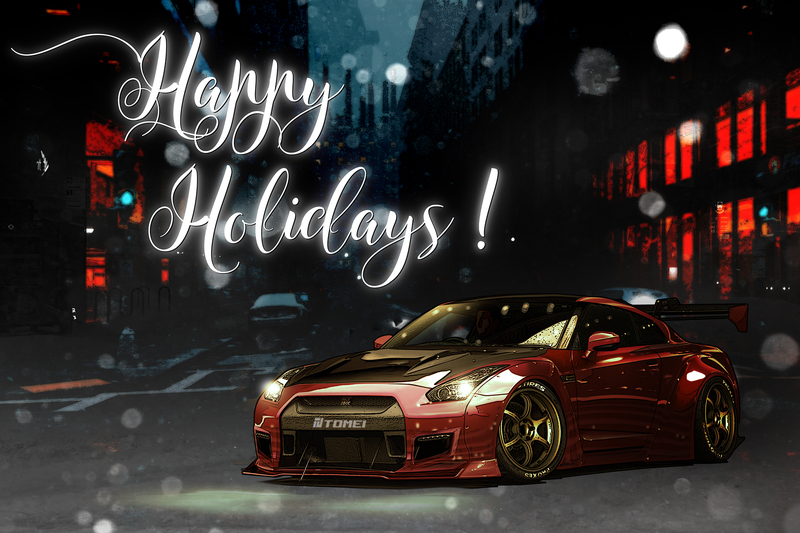 Drive safe and enjoy your holidays.